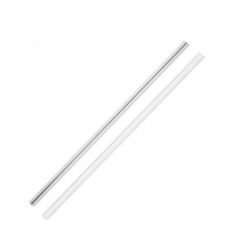 Modn-4 Ceiling Fan by Three Sixty - White with LED Light 52"
The Modn 4 is a superbly styled ceiling fan with a 52″ blade span. The Modn-4 by Three Sixty has a 71w motor made from high quality bearings performing quiet in operation. 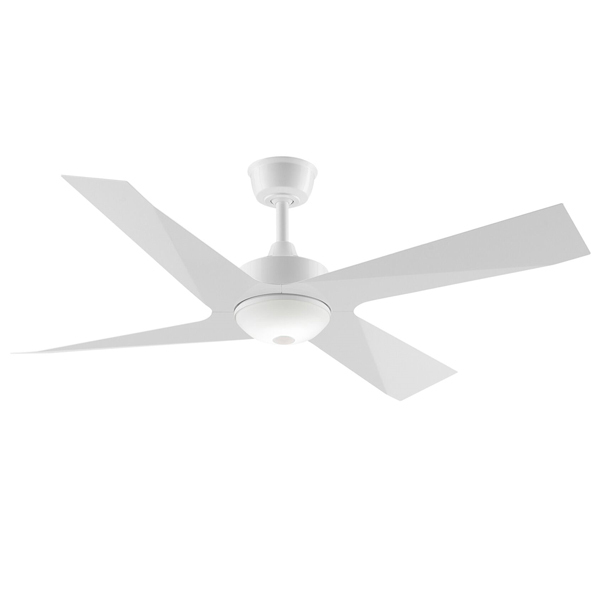 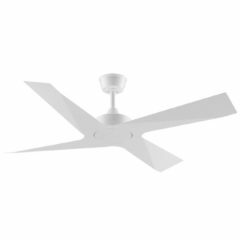 This fan has 4 modern styled white, aluminium, lightweight blades and includes wobble free technology in its design. 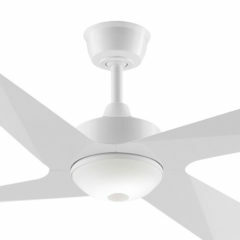 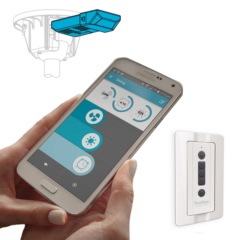 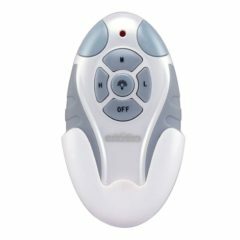 The Modn 4 ceiling fan has a 3 speed wall control and comes included with a 12 watt 3000k Warm White LED Light (see accessories).